Our range of effective and 100% organic herbal Sprinkles has been formulated and produced in small batches by our vet Holly Mash. She has developed each one to meet the needs of her patients and we think that they'll help your dog too. Each Sprinkle comes in a self-seal pouch, to keep the herbs fresh. Just add a 'Sprinkle', or half a teaspoonful, to your dog's food every day (or as needed) to support their health easily and effectively. It's as simple as that! Each pouch of Sprinkles contains enough herbs for 30 days usage. I would like to take this opportunity to thank you for a quality product that is now a part of his daily routine that I would not be without. 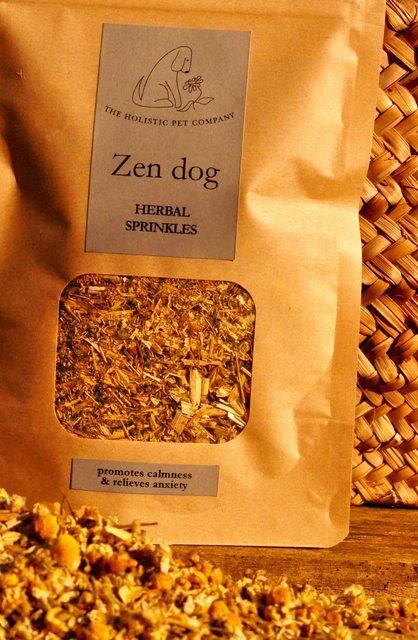 Zen dog is especially formulated to promote calmness and to relieve anxiety. It can be used for situations that some dogs find stressful such as thunderstorms, fireworks night, trips to the vet or as an aid in separation anxiety. It can also help to promote a restful night's sleep and can help dogs to settle in a new home or when away in kennels. Zen dog contains a blend of traditional nervine, or calming herbs, that have been used for centuries to relieve anxiety and settle the mind. Our vet Holly has chosen a blend that includes Chamomile and Passionflower. Digestif dog is especially formulated to support and maintain a healthy and efficient digestive system. It helps to relieve flatulence, bloating and cramps and promotes regular, healthy motions. 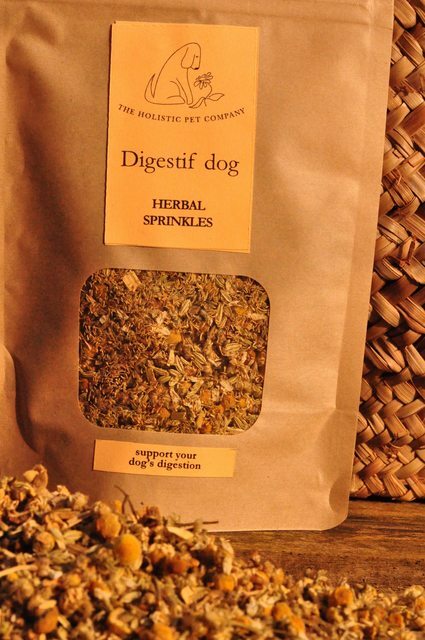 Digestif dog contains a blend of herbs that have traditionally been used to promote healthy digestion. The selected herbs are also nutritive and are a rich source of vitamins, minerals and antioxidants. 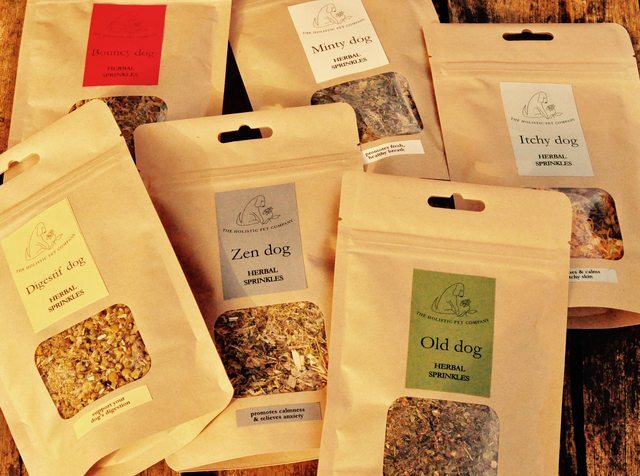 Our vet Holly has chosen a blend that is highly palatable to dogs and includes Fennel. Old dog is especially formulated to help relieve the effects of old age and to help support your dog through their senior years. It can be especially helpful for dogs that suffer from anxiety and confusion as they grow older, when deafness and poor eyesight can make them feel more vulnerable. It's also aimed at supporting dogs that are suffering from age-related forgetfulness and confusion (a bit like doggie dementia!). Old dog contains a blend of herbs that have been used for centuries to relieve the most common effects of ageing and to help maintain a healthy immune system. The herbs are especially selected by our vet Holly to support the heart and circulatory system and because they are a rich source of antioxidants. 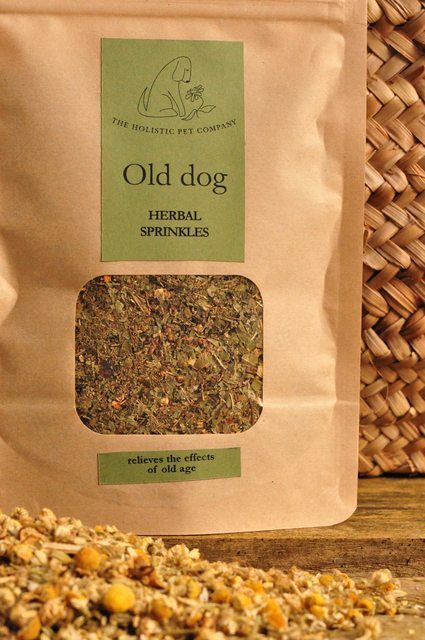 Old dog contains a blend of herbs including Hawthorn. 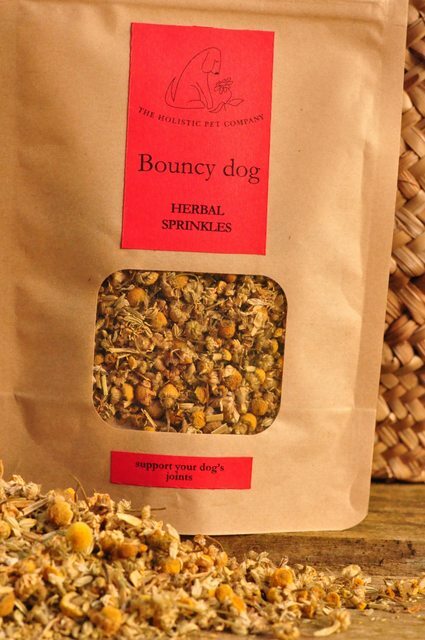 Bouncy dog is a herbal Sprinkle especially formulated to support your dog's joints. It can be used to help maintain and support mobility and joint suppleness in dogs that suffer from ongoing joint problems such as stiffness and slowing down. It's just the thing for elderly dogs that need to regain a spring in their step! Bouncy dog contains a blend of traditional herbs that support the body's circulatory and detoxification systems. In herbal medicine it is often these systems which need special support when problems such as chronic arthritis occur, so giving them some extra support helps the body to help itself. Our vet Holly has chosen a blend that includes Dandelion, Cleavers and Ginger. 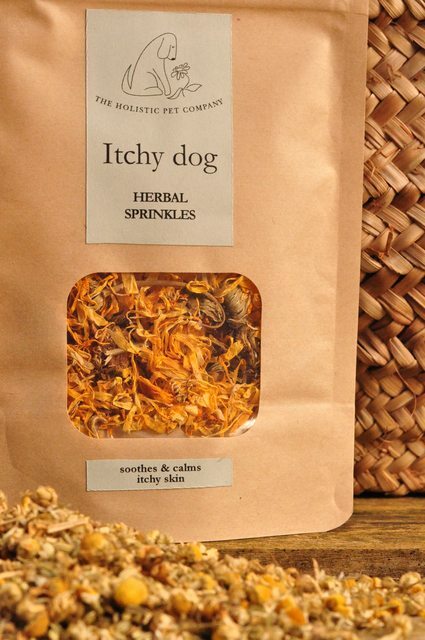 Itchy dog is a herbal Sprinkle especially formulated to soothe and calm itchy skin. It can be used for helping with seasonal allergies that can make dogs itchy, especially over the summer months. It can also be helpful if they suffer with year round complaints that lead to itching and scratching. Whether your dog has just an occasional itch and scratch or whether they have an ongoing allergy – Itchy dog can provide a natural support for helping maintain a healthy skin and coat. Itchy dog contains a blend of traditional soothing and calming herbs that have been used for centuries to relieve skin complaints effectively and naturally. Our vet Holly has chosen a blend of herbs that includes Calendula and Chickweed. 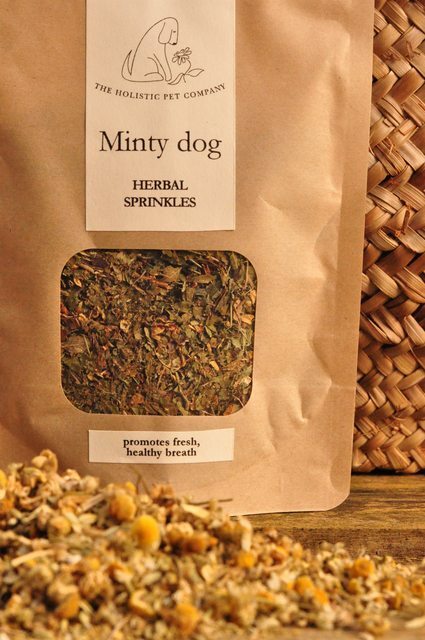 Minty dog is a herbal Sprinkle that promotes fresh, healthy breath. It can help with bad breath and supports oral and digestive health. With the help of some natural, Minty dog Sprinkle every day your dog doesn't need to have doggy breath any more! Traditional cleansing and detoxifying herbs have actions that help support a healthy and sweet smelling mouth and gums. Our vet Holly has chosen a blend of herbs that includes Mint and Parsley. Our products are available online using the buttons above, alternatively please contact us to find your nearest stockist. Please read our terms and conditions before placing your order. We also supply pet shops, gift shops and health food shops. If you are interested in becoming a stockist please drop us a line. 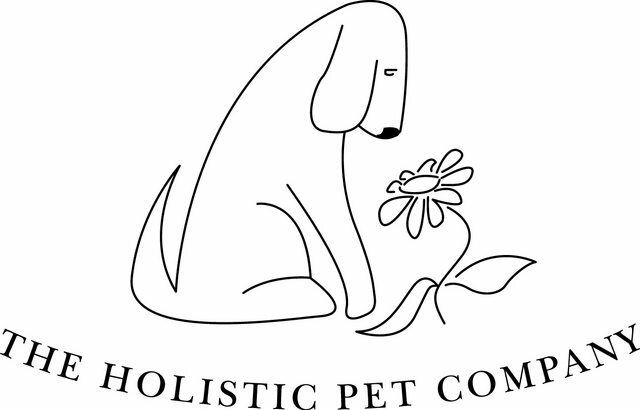 © The Holistic Pet Company 2017. All rights reserved.